Last Nights Office 28/03/2014. I would not list driving in London as one of my favourite pastimes - a friday early evening drive to north of the river through the Blackwall Tunnel to Stratford can be a stressful hit and miss affair. Do you go early when there is likely to be more traffic or later when less? do you add the traffic reports into the decision making process? So having breezed through the tunnel and around past Bow I came off the A102 into a line of stationary traffic trying to get to Westfield. “Temporary Traffic Lights” the Security Guard in the car along side me said as we had inched about 200 yards in 20 minutes. When I told him I was late and where I was going he told me a local place to park and my best bet was to walk to the Copper Box - Worked a treat and was free - You can’t beat inside info. Having lost four of their last five games, London Lions got back into wining ways last night with a 102-78 win over Surrey United. Lion’s Head Coach Vince Macaulay’s promise of getting the team back to basics and to stay focused certainly had some impact as they notched up 61 points in the first half. Basketball is still very much work in progress but I think is going in the right direction albeit slowly. The Office on Sunday is The 2014 Newton Women’s Boat Race at Henley. Sunday, M25, M4, First Race 1:15, better start planning now. 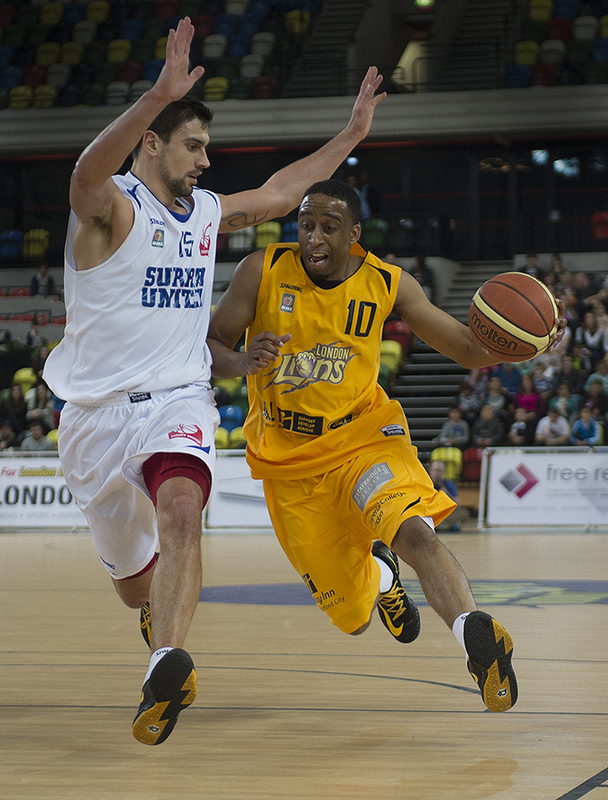 Lions' Guard Perry Lawson [#10] gets past former Lion’s Nick Freer during the BBL Basketball game between the London Lions and Surrey United at the Copper Box Arena London. 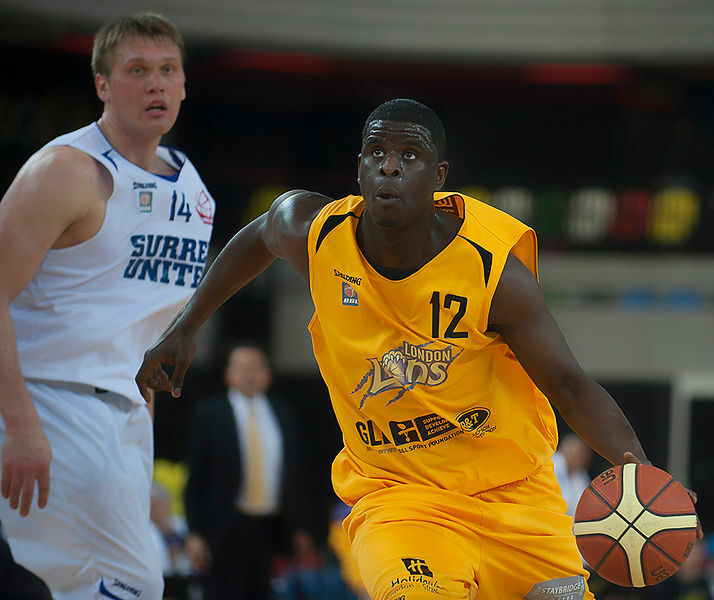 Lions' Centre Laurent Irish [#12] drives for the basket during the BBL game against Surrey United at the Copper Box Arena London.